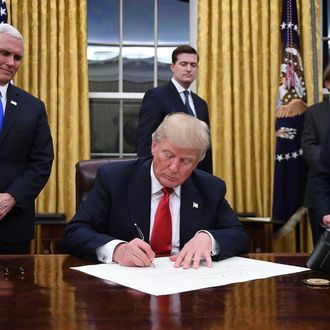 As one of President Donald Trump’s first orders of business as 45th president of the United States, he signed a proclamation for a national day of patriotism. 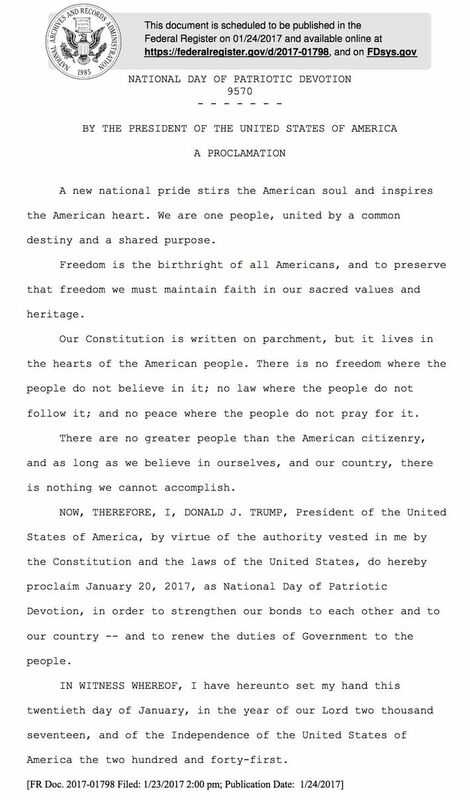 That “National Day of Patriotic Devotion,” as it’s officially called, falls on January 20, 2017 — otherwise known as his very own Inauguration Day. At least it’s a lot cheerier than the “American carnage” bit.